The new book Paper Cutting: 20 Projects for Friends to Make by Amy Phipps and Claire Culley has DIY paper cutting projects for making 3D items, greeting cards, photo props, a mobile, cake topper, lamp shade and more that are fun to get together and make with friends. You’ll find instructions on how to work with cutting blades, tips on cutting different materials and transferring templates. For each project there are project photos, supplies needed, detailed project directions and step by step photos along with patterns in the back to copy. Most projects are easy and can be completely pretty quickly and the directions are simple to follow. 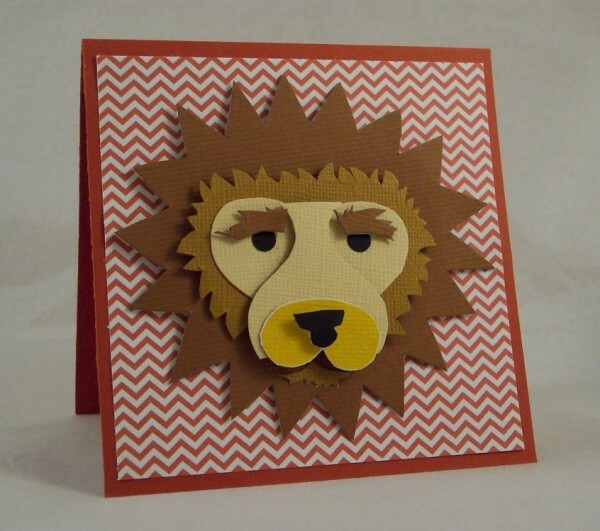 I used the pattern and directions for the 3D Lion project but instead of increasing the template size I kept it small so I could add my lion to a card. Transferring the provided template onto different colors of textured cardstock I cut out my lion pieces and assembled them with foam tape onto my cardstock, I think he turned out so cute! I will admit I am better with scissors then the recommend exacto blade so I cut my projects out with scissors instead but still got great results. 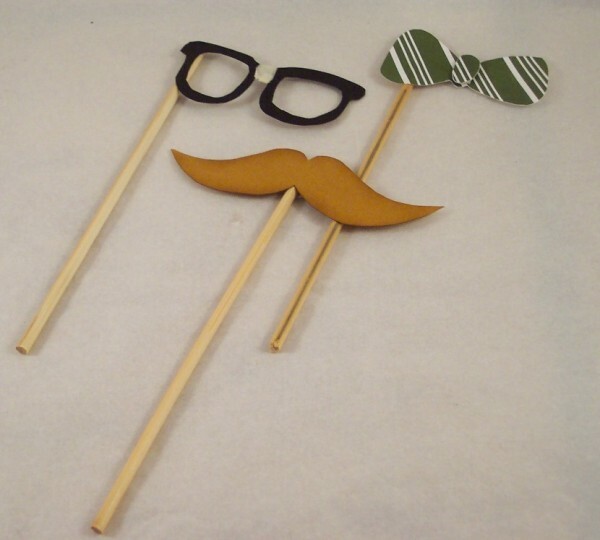 Next I made some fun photo props using the templates and cutting them out of pattern papers and cardstocks, adding some wooden skewers to hold them by. These will be so so fun to take selfies with at a party! 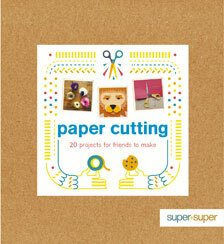 Paper Cutting: 20 Projects for Friends to Make is available from GMC Publications or check your local book shop. And to find more info about the authors Amy Phipps and Claire Culley you can click here to visit their blog Super+Super.